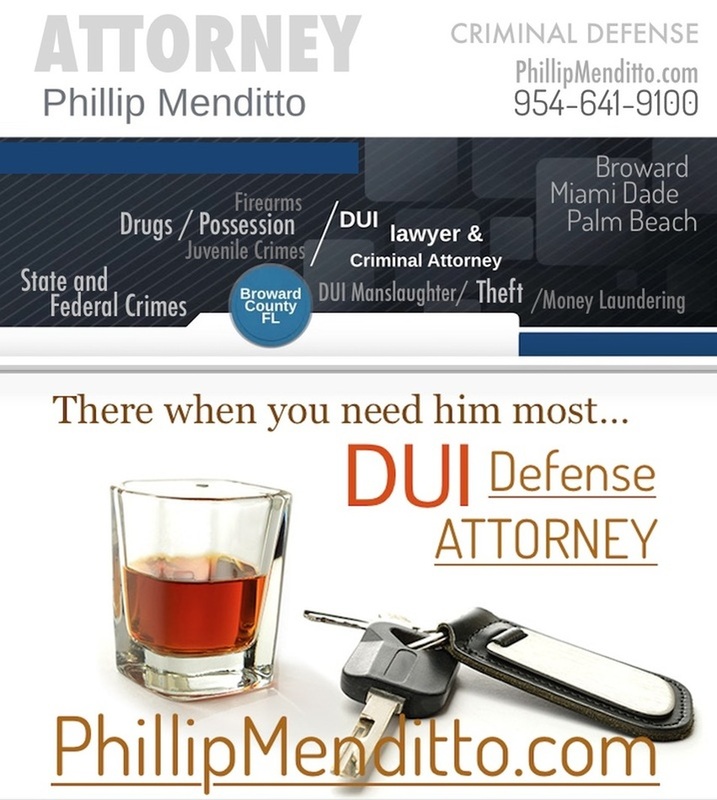 Broward Dui defense attorney Phillip Menditto begins your defense immediately! One of the best Fort Lauderdale dui attorneys who successfully defends clients in south Florida, lawyer for DUI arrests in Broward County, Miami Dade and West Palm Beach. 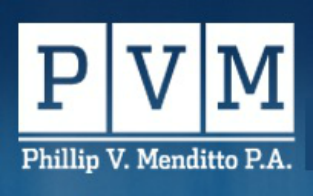 Fort Lauderdale Dui Attorney Phillip V. Menditto. Call Fort Lauderdale dui lawyer, Broward County criminal defense attorney Phillip Menditto 24/7 if you've been arrested! We are here to help! If you've been arrested, we are available 24 Hours / 7 Days a week. Remain silent and call us now. In the State of Florida, a DUI can be categorized as a traffic violation, a misdemeanor, or a felony depending on the circumstances. You need a defense lawyer immediately! Without adequate representation offenders can receive large fines, and lose driving privileges. You may be required to attend a substance abuse course or DUI classes. For Florida dui arrest crimes offenders can be put on probation, and even face six months to five years in prison depending on the severity and number of DUI charges a person may have received. Broward dui lawyer Phillip Menditto explains dui arrest evidence, blood alcohol and reasons why you should NOT give a breath test. Remain silent and ask for your attorney. How your attorney handles your case is critical! Within the first 10 days of your arrest you need an attorney to protect your driving privileges! Call NOW. Effective, skilled representation can significantly affect the outcome of a DUI case! It is important to have the best DUI lawyer on your side to defend your case. Your fate is not set in stone just because you have been accused of driving while intoxicated or driving under the influence. The best Fort Lauderdale criminal lawyers immediately begin your defense, there is no time to spare! Having an experienced and best prepared DUI lawyer to evaluate your case could potentially impact the final outcome of any DUI case. In south Florida, Miami Dade, West Palm Beach, and Broward County, Fort Lauderdale Dui lawyer ​Phillip Menditto will fight for you, and help secure the best possible outcome. A Driving Under the Influence (DUI) offense in the State of Florida is subject to a bevy of intricate laws and penalties. 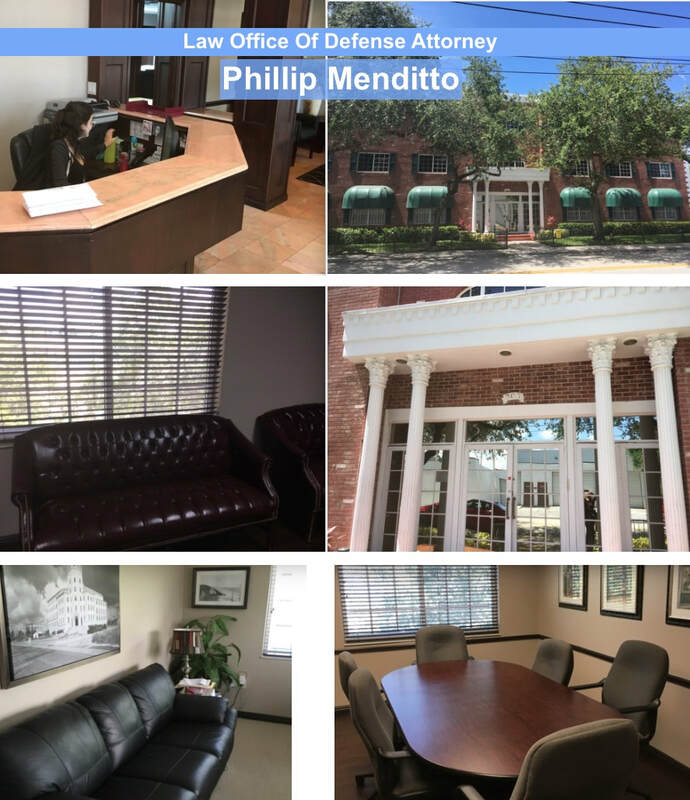 Phillip Menditto is an experienced, knowledgeable criminal lawyer that can help you effectively navigate the criminal justice system, resulting in the best possible outcome. DUI's can be very serious. Some states refer to this as a DWI (driving while intoxicated with a blood alcohol level over the legal limit). In Florida, DUI is considered unlawful blood alcohol or breath alcohol level of .08 or higher. After your arrest, the first thing to understand is that your DUI citation is your license for the next 10 days. It’s imperative to act immediately and hire Dui defense Attorney Phillip Menditto within the first 10 days to protect your driving privileges. Your attorney will take the steps to secure you a 'hardship license' or a temporary one. Act fast so you can continue to drive! NOT blowing may be SMARTER because you are NOT giving any EVIDENCE to the state to convict you of a DUI in the court aspect of your arrest. The DMV punishment is one aspect, there's also the CRIMINAL COURT and Penalties ... If you refused to blow, your attorney may possibly have your arrest charges lessened to "reckless driver" which is a much easier punishment to face than a Dui court conviction. If you refused to blow the night / morning of your arrest, the DMV suspends your license for 1 year if it is your first refusal. It you have a previous refusal, your license will be suspended for 18 months and you may possibly be charged with an additional crime; however, you have some options. 1. Fight your suspension – If you choose this route, Attorney Menditto will have a hearing with the DMV and he will fight the suspension of your license. You will be granted a temporary Hardship License. If Attorney Menditto is successful in fighting for your best outcome, you will have a valid license. If the DMV finds your suspension valid, you will have to go 90 days without driving. 2. Take a hardship – if you choose this route, Attorney Menditto will get you a valid Hardship License for the entire year of your suspension. You will not have to face anytime without a license. This option is for individuals charged with their first DUI only. 1. Fight your suspension – If you choose this route, Attorney Menditto will have a hearing with the DMV during which he will fight the suspension of your license. You will be granted a temporary Hardship License. If Attorney Menditto is successful in fighting for your best outcome, you will have a valid license. If the DMV finds your suspension valid, you will have to go 30 days without driving. 2. Take a hardship – if you choose this route, Attorney Menditto will get you a valid Hardship License for the entire 6 months of your suspension. You will not have to face anytime without a license. This option is for individuals charged with their first DUI only. (Department of Motor Vehicles) aspect of the potential punishments you may face, are one thing. NEXT... is the criminal court, the charges you face there... and evidence the prosecution will present to try to get you convicted. Remember, if you BLOW... you are giving the state key evidence to have you convicted of DUI in court! The DMV punishment looks lighter... if you do blow... but a Dui COURT CONVICTION and the penalties are more severe. You can be put on probation, your license can be suspended for 6 months to a year, you will have community service hours, pay fines, court costs, etc. Once you have one DUI on your record, the punishments are more severe if you get another, including possibly serving jail time. If the State charges you with DUI, the first date will be your Arraignment. Your Arraignment is simply the formal announcement of your charges. You will be required to enter a plea of Guilty, Not Guilty, or No Contest. Once you hire Attorney Menditto, he will file the pertinent legal documents with the Clerk of the Court that will automatically plead you not guilty. You will not be required to attend your Arraignment once you hire Attorney Menditto. Attorney Menditto will also file a Demand for Discovery. The Discovery is everything that the State has in its possession that they intend to use against you. This includes your police report, witnesses statements, any and all witnesses the State intends to call at trial, photographs, a DUI video, your breath test results (if you did blow) these are a few examples. This evidence will arrive shortly after your arraignment. The next Court date is called a Calendar Call. Attorney Menditto will attend your Calendar Call hearing with the State and communicate to the Judge the updated status of your case. These court dates are very common. During the duration of your DUI case, Attorney Menditto will take depositions of any and all witnesses that the State plans to call against you. Attorney Menditto will aggressively fight to get your charges dropped or reduced, hence obtaining the best outcome possible for each individual case. Call any time, day or night, Fort Lauderdale criminal defense attorney Phillip Menditto will defend your rights!